I put this hank of Araucania Nature Cotton on the swift to wind it. It was going to be earflaps for a customer’s cotton Jayne hat. Looks like the folks at Araucania tied the hank a little too tightly and the dye didn’t take. I can’t send out a hat with white spots in the earflaps. 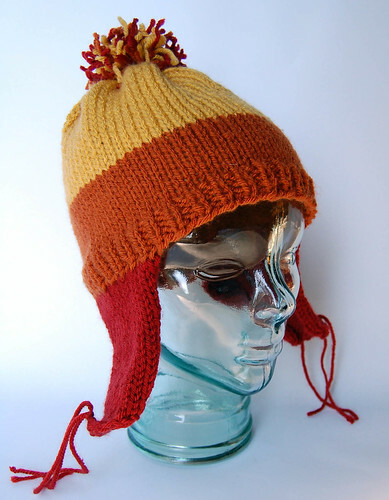 And with that, my friends, I am done with cotton Jayne hats. They’re unpleasant to knit. They’re not cost effective to sell. 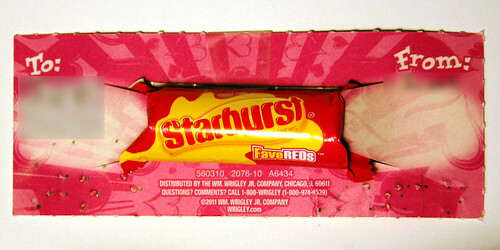 The materials are inconsistent from batch to batch. And the texture isn’t really suitable for hats. So this is the last one. From now on, clients who are allergic to wool can go with acrylic. Bonus: it’s cheaper for the customer. Jayne would get behind that. Rock on with your Spock on. 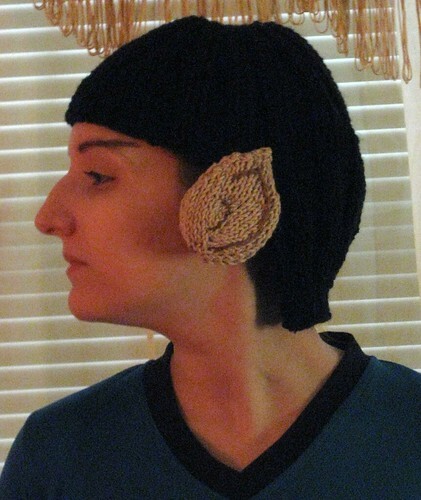 The best thing I’ve seen on LiveJournal all year: outofthisplace‘s Star Trek hat. Also available on Ravelry. 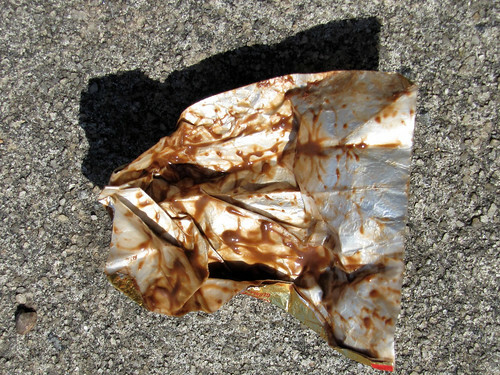 Chocolate melts in my car. Went to hang the laundry out yesterday morning and this little hole was there. 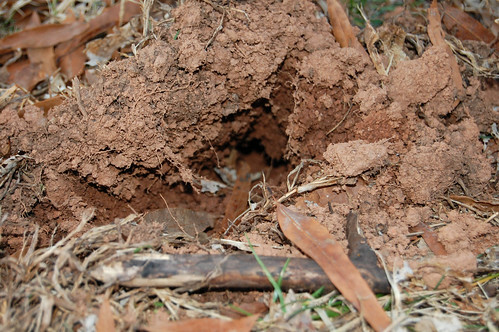 The entire area around the clothesline is riddled with mole tunnels. 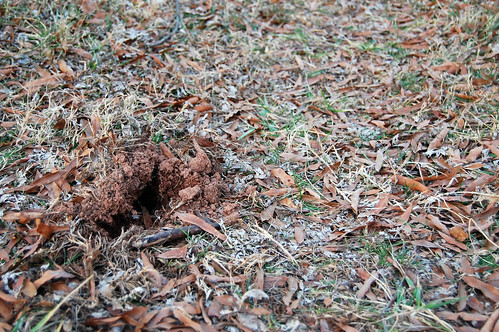 With every step you take, you sink a couple of inches into the ground. I guess our little underminer decided to poke a head up and see what was going on upstairs. Em wanted to be sure that a visually impaired boy in her class could read the Valentine she was sending him. “Can we write (his name) and (my name) in Braille?” I did my best. Hopefully this is one of those “it’s the thought that counts” moments. Please remember this next time someone puts forth the opinion that autistic people lack empathy. The empathy is there, it’s just that it isn’t expressed in a form you might recognize. I admit I felt my shoulders relax, releasing some tension that I didn’t know was there. I guess all parents are a bit on eggshells, making a thousand tiny adjustments in steering their child on course through life. This feels like proof that we’re doing something right. When we left off, we were trying to free some captives from a ship full of pirate slavers. We had revealed ourselves and were currently at a standoff with the enemy. There might, however, still be a chance to get out of this without violence. Hahahaha. Right. Also, I’m not going to bother to bleep the profanity out of this, so you’ve been warned. Super ninja owlbear pirate go time! Just one more. 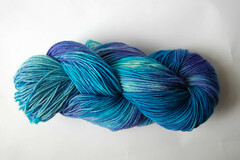 With a little purple left over from the previous skein, I thought I’d do one final dye job. 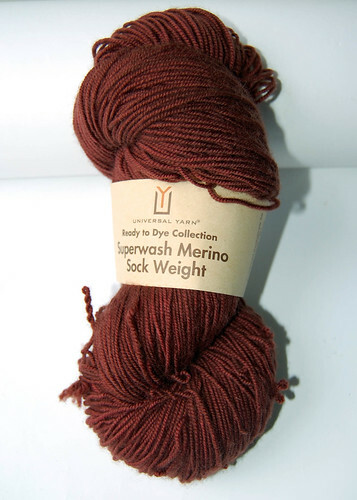 Same Universal Superwash Merino Sock colored with Jacquard acid dyes. 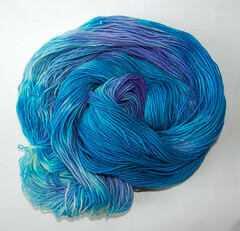 This is primarily aqua with some purple poured into one section of the dye pot after the aqua had taken up. I’m a big fan of blue. 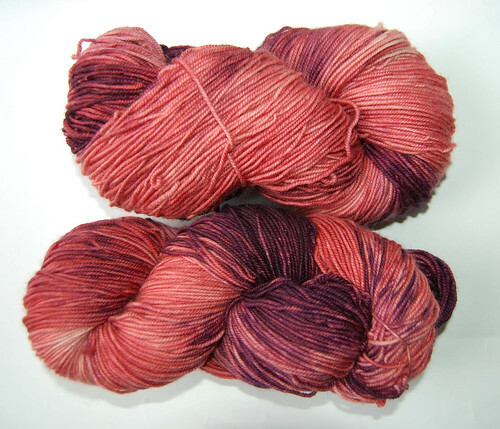 Used some of the russet that hadn’t completely exhausted to make this coral/brown with purple. The purple uptook faster than I meant for it to, which was the result of overcompensating with the vinegar. Still, no mistakes, just happy accidents, right? 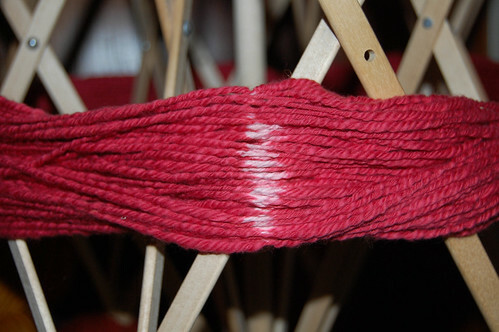 I finally tried out some of Universal Yarn’s Ready To Dye Yarn. I like it. It came out with a nice russet color. It reminds me of Jane Russell. So that’s what I’m calling it. Jane Russell.